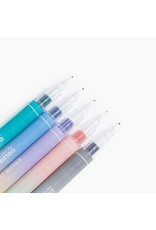 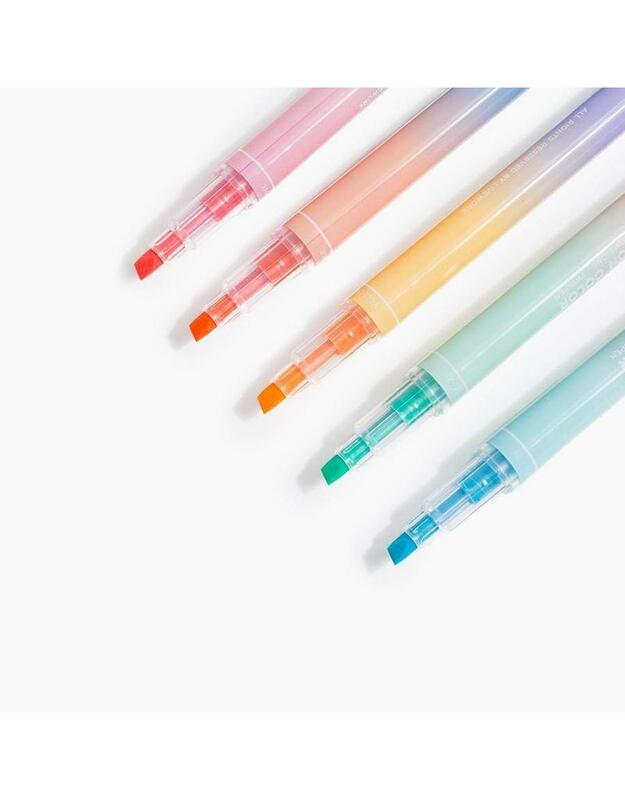 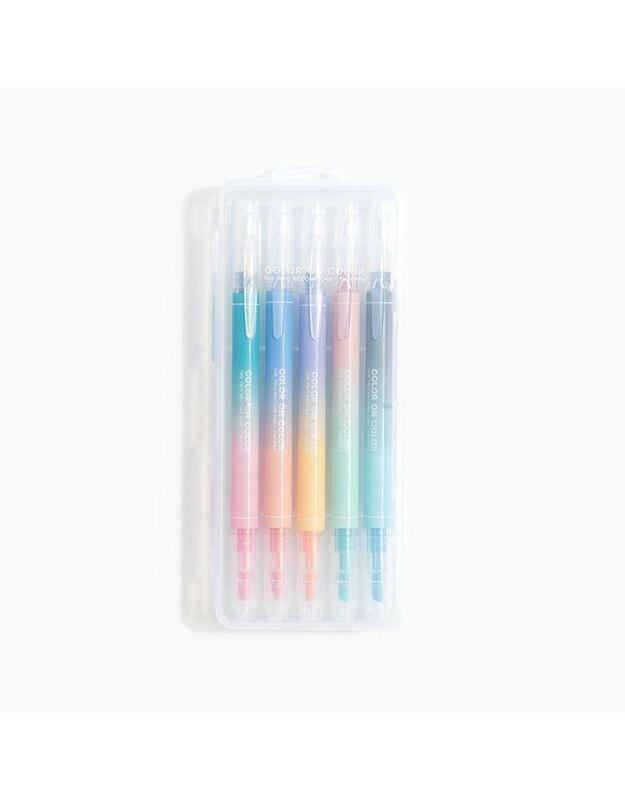 Explore the color wheel and spark your creativity with this set of twin-tip markers. 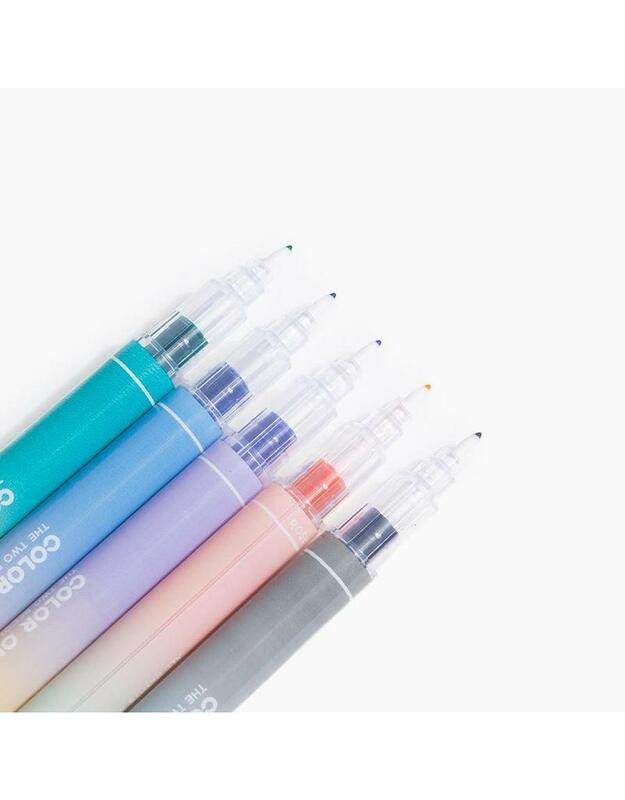 With both a fine and broad tip in 10 colors, each unique color pair offers a wide range of colorful possibilities and styles to experiment with. 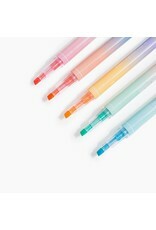 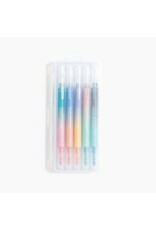 Set of 5 dual end pens.